Citizens using Facebook Pages to raise awareness about issues they care about and enlarge their circle of supporters can follow step-by-step guide and be up and running with a smart strategy in no time. 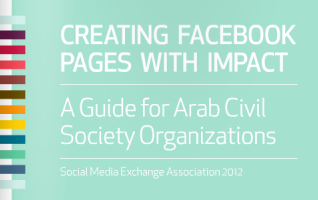 Written specifically for an Arab civil society audience, the statistics and examples refer to the Arab region only. There is also an Arabic-language version.